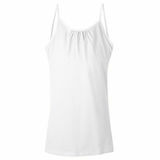 Hanes Girls Undershirts is a great base to all outfits. 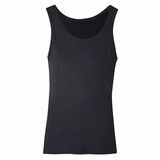 These undershirt provides soft cottony comfort, 100% cotton. Hanes Girl's Undershirts are very comfortable and fit very well. These undershirt has a comfort thin spaghetti straps, stay-tucked hem so you can wear it alone or under your favorite shirts. These undershirts has a tag-free neckline with scalloped. Hanes Girl's Undershirts is available with different choices of colours and sizes.